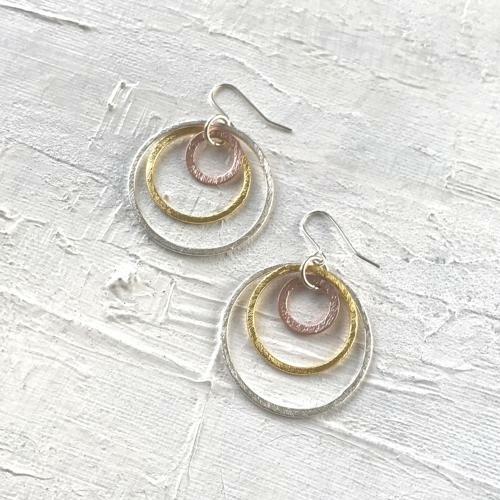 Stylish large circle earrings in gold, silver and rose gold plate. Diameter of large circle 3.5cms., drop 6cms. Designed and hand made in England.